Every sister who takes her vows at St. Walburg Monastery of Covington, Kentucky, receives a gold ring symbolizing her commitment to the Order of Saint Benedict and its principles: Humility, reverence to God and generosity toward the sick, old and poor. When she dies, her ring is placed in a velvet-lined memorial box alongside dozens of others to commemorate her dedication to the church. 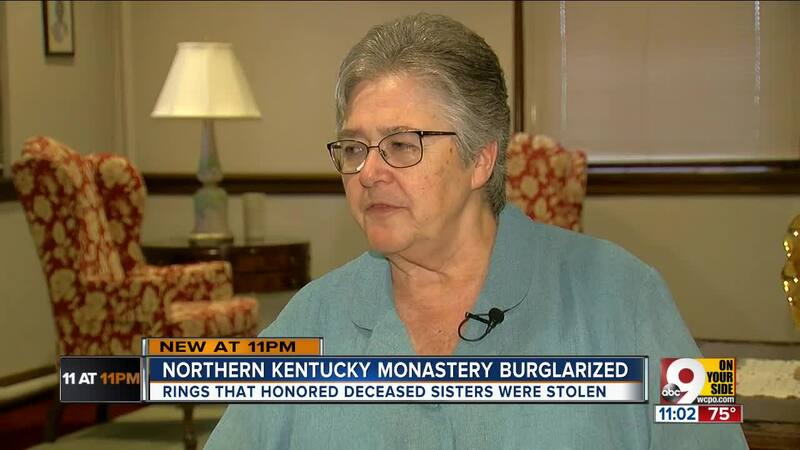 During the monastery's entire 159 years of existence, Sister Aileen Bankemper said, no one has ever dared to steal one. On Monday, someone stole more than 100.